Paris is well embedded in our subconscious in deep soak and a classy association, emphatically mounted within the heart of Chic, Style, Panache, Luxury and Fashion. There, on the Rue Neuve des Capucines, when our own great-great-great grandparents were making their own patterns in life, a 33-year-old Frenchman was setting up shop – his name was Louis Vuitton, and the year was 1854. At age 14 he had walked 400 kilometres to start a new life in Paris. His first brand was an ingenious flat-bottomed trunk, cut with canvas, lightweight and airtight. It was a revolution in design and was ideal for stacking which hit the soft spot with the swish clientele of prestigious travellers. The trend was quickly copied by other luggage-makers, and a new theme bordering on counterfeiting was well received. 157 years later, people around the world are now proud to have even a counterfeit Louis Vuitton product. It all goes to prove the truth in the adage “a copy is the greatest form of flattery”, a kind of ultimate compliment to the success of the original. In 2004 18% of all counterfeit goods seized in the European Union were Louis Vuitton replicas! 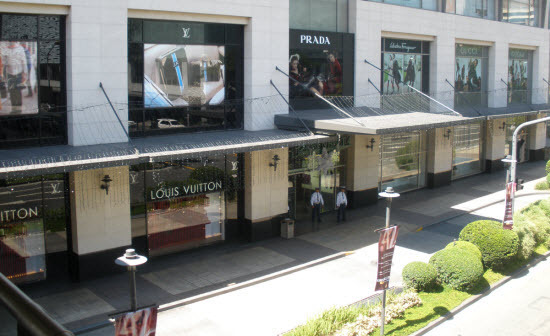 The wide range of modern Louis Vuitton products is one of the best, most recognised, most sort after brands worldwide. During the year 2004, in celebration of its 150th anniversary, the brand set up more stores in New York, Sao Paulo, Mexico City, Cancun and Johannesburg. Needless to say Louis Vuitton himself, way back in 1885, had already opened his first store in the other centre of chic and fashion, along Oxford Street in London. By 1913, the Louis Vuitton Building was opened along the Champs-Elysee in the centre of Paris, as the largest travel-goods store in the world. Pomp and ceremony, class and top brass were all the rage with the titanic rise of the Louis Vuitton brand of products well into the 20th century. This incident somehow triggers thoughts and actions that are current today, since there is a new skeleton, banging and contesting for pride of place within the very large Louis Vuitton cupboard. It involves dealings with yet another emblem of perfection, another master symbol of style. Another French company, also well respected in the rag trade, namely Hermes. Originally established in 1837, some 17 years before LV, Hermes began as a harness shop. Patenting the zipper in France in the 1920s, they moved into zippered bags and then came the legendary Hermes scarves that are a fable all on their own. Then their is their most prized item the Birkin Bag, reputed in rag trade mythology to have the longest waiting list of any luxury item – six years! Today there are 240 Hermes boutiques internationally, and the items range from riding gloves, scarves, silk ties, belts, sportswear, car travel trunks, handbags, women’s shoes, men’s ready-to-wear collection, a home line, bed and linens, furniture, silverware, crystal and porcelain, office accessories, perfumes and even baby gifts. The silk tie sales of over one million pieces each year make up 10% of total Hermes annual sales. Bring on Paul Gautier, and you then have a high-fashion line with velvet jodhpurs, mink jackets (a bit infra-dig these days!). Not to mention the scented whiff of perfumes par excellence. Hermes, in Greek mythology, is the son of Zeus and the nymph Maia, the daughter of Atlas. Hermes is the god of herdsmen, land travel, merchants, measures and weights, literature, athletics, and endowed with great cunning and shrewdness, and dubbed the messenger of the gods. He also has a strong association with thieves….which somehow brings us back to Louis Vuitton. This is all very well, but Louis Vuitton is also very clearly a major player in the identical world of one-upmanship, flashness, quality, and perfection in the luxury goods market. This leaves them very much as a rival with Hermes in the upscale, high-tailing world of chic and fashion. In 1987 Louis Vuitton hitched up with Moet and Chandon and Hennessy, the makers of champagne and cognac. This definitively improved their ranking, and the luxury goods market has run skyward ever since. LVMH have their own massive range of tip top luxury goods items including trunks, bags, purses, wallets, leather lines, pens, clothing, city guides and scrapbooks, jewelery and watches and much more. By March 2010 Louis Vuitton employed 9,600 people worldwide. Somehow the rag trade became a bit of a professional boxing ring in 2010, with some serious kowtowing, and the central players were the Louis Vuitton and Hermes Groups themselves. Several rounds have now played out and the referees are still holding their breath, while these two luxury cats leap around in a shadow-land of intent. Both companies purposefully stating their own case, poised to leap out in the open when their bags are fully stretched. Some of the financial press in Europe have been having a field day and have conjured up a bag of tricks which attribute directly to a clowning around by Louis Vuitton. One Financial Times analyst even called Vuitton “a sneaky company.” And the Hermes family have even been quoted in the famous French newspaper Le Figaro as dubbing LVMH’s, 61 year old, Chairman Bernard Arnault as “a wolf decked out in silky sheep scarves”. There is undoubtedly a lot of sneaking about on both sides, and royal tales are ripe and rampant. Monsieur Arnault already has a reputation of building his fortune on a foundation of hostile takeovers, but on this occasion he had thrown down a new set of dice that has confused critics and upset the Hermes Dynasty. 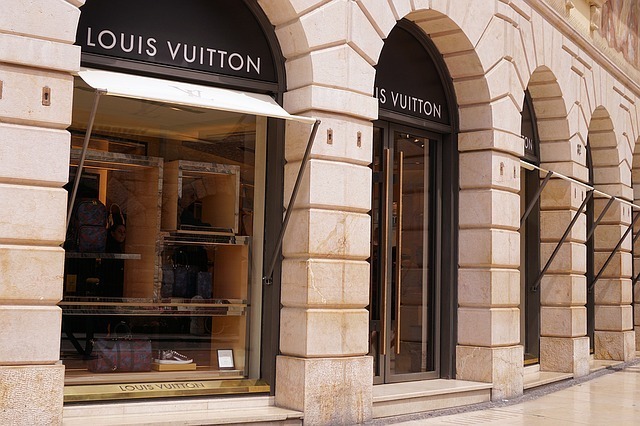 The LVMH play has been through the use of derivative instruments known as equity swaps. Their antics commenced in 2008, but they were able to keep silent about their acquisition intentions since under their strict interpretations of the rules, they had no requirement to declare these equity swaps. So no-one was the wiser, till a few hours before announcing their fresh holdings to the public they happened to mention it to Hermes. Clearly a shrewd move, and a sneaky one to boot, depending on whose side you are championing! It all came as a big shock to the 60 members of the Hermes family who still hold 73% of the company shares. But they were definitely confused when suddenly in October 2010 they found out that a main player in their very same luxury goods market had heavily undercut the market price to purchase 14.2% of their shares, which soon racked up to 17.1% and then to more than 20%, after the LVMH had denied any intentions to stage a ‘take-over’ bid. Either way it was a humdinger of a slap in the face for the Hermes Dynasty. Hermes shares fell down 2.75% at one stage while LVMH shares climbed up 2.56%. Having crossed the threshold of 20% LVMH now own 21.3 million shares, and despite the fact that they state ‘it is not a financial battle’, they have laid out close to a cool 2 million Euros for the privilege. Hermes have fronted up quickly with a Holding company aimed at preserving their 73% share holdings, and structured in such a way as to prevent a take-over battle in the future. It is sweet music to international ears to hear this news, and to know that, after all is said and done it is indeed only a ‘cultural battle’. A great relief to find these exploits branded as a far cry from profound financial matters, but pitched instead delicately at the centre of propriety. These two ancient and well respected companies, Hermes and LVMH, might have been to hell and back recently, but let’s hope that with their new found twinning they deliberately feed neatly off each other well into the future, and go hand in hand to style heaven, with their exclusive range of unmatched luxury goods items. Events aimed wholeheartedly at preserving saviour fair and the classy French-ness within the heart of Chic, Style, Panache, and Fashion.